Dave de Vries doesn’t sleep. Or he’s a world champion time manager. 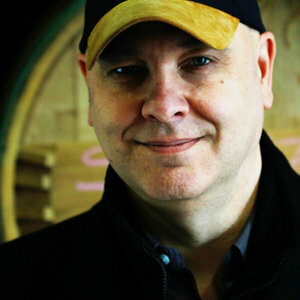 He’s a director, producer, writer (for comics and screen), radio presenter, teacher, deputy mayor, illustrator, festival director and wine connoisseur. 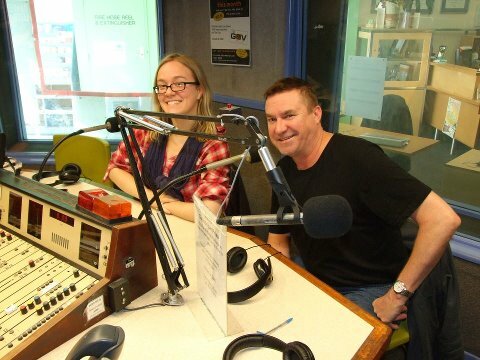 He took a few moments from The Wine Show on Triple B FM 89.1FM in the Barossa Valley to chat to us about film, comics and genre. In his words “Australian film is in the dunny”. Do you agree? Bec and Dan Hynes. Photo by Fiona de Caux. Last week we had Dr Alex Nakone in to talk about balancing a medical career with his love of filmmaking. His film “Ouroboros” will be premiering tonight at the Indie Film Festival. Dan Hynes, actor in “Ouroboros”, came in today to talk about shifting from theatre to film, and dedicating 15 months of his life to a hitman. And to talk us through the Indie Film Festival, local independent producer Fiona de Caux dropped by let us know what we can expect at the event. 10 METRES trailer – Rotterdam 2012 from Rory Noke on Vimeo. We spoke to Rory Noke last year just before he went to the DigiSPAA awards night with his feature film “10 Metres”. The Adelaide based writer/director (and camera operator at Channel 10) took the title and is now back in town after a whirlwind tour of Europe (or more realistically – film festivals that happened to be in Europe). Rory came into the studio to tell us what it’s like to take be thrown into fighting ring that is film distribution. We talk to many filmmakers who juggle their creative passions with their day jobs. One clearly funding the other because let’s face it – film, like crime, doesn’t pay. Alex Nakone is someone doing just that. He satisfies both sections of his brain with his day job as a GP and ‘other job’ as a writer/director. His short Mr Morag’s Helical Dreams explores the ethics of human cloning and has been screened in a number of festivals, including winning Best Sci Fi at the 2011 Barossa Valley Film Festival. Alex was also involved in creating the Indie Film Festival, showcasing some of the amazing shorts coming out of South Australia. Alex came in to discuss the festival and his own upcoming short, “Ouroboros” and, of course, how to handle two disparate jobs. And a huge welcome to Jordan Archer who is taking over hosting duties from Chrissy Kavanagh while she takes a three week break. Jordan brought the goods and the awkward segues like an old Behind the Screens pro. Last week Adelaide was host to The Great Southern Slam which brought a reported 1.3 million dollars into the state, along with a few hundred roller derby players and fans. 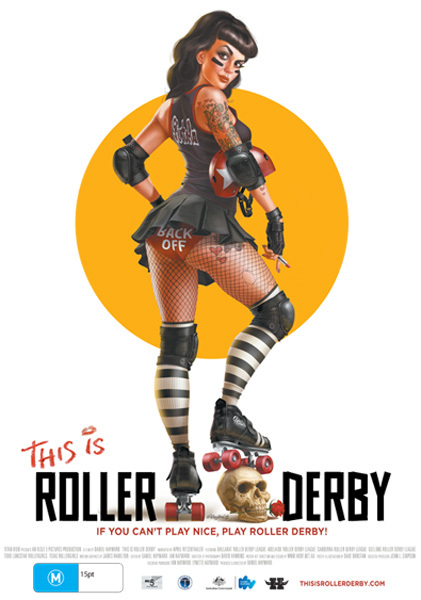 What is roller derby? This Is Roller Derby. Well, that’s the name of an upcoming documentary by Australian director Daniel Hayward. But if you want an intro into the culture of derby and exactly why it’s the fastest growing women’s sport in the world (it’s even up for consideration to enter in the Olympic competition) check out the above trailer. Daniel tells us the story of how he was introduced to the derby world and how it’s constantly evolving. We bang on about the Media Resource Centre a fair bit on the show. But there’s good reason. If you’re an emerging filmmaker in Adelaide it’s your one stop shop for advice, equipment and they have a whole bunch of initiatives aimed at assisting people in making their first short films (and even beyond). Katie Powell, production coordinator at MRC, came into the studio to tell us all about their new initiatives, including opportunities for funding short animation and music videos. I must apologise for our giggling Gertie antics during the start. But that’s why you love us, right? We also replayed our interview with armourer John Coory. Ever wanted to know who’s behind all the explosions and gun fights on films? John is one of those guys.